Fragglepuss Anime Review 71: Akame Ga Kill! First Aired: Summer 2014, 24 episodes. Summary: In a medieval world that is not really medieval but kind of medieval with a twist, Tatsumi sets out for the Capitol to earn money for his starving village. There he finds a world that is completely different than his home town, a world of corruption spread from the Prime Minister who controls the child Emperor. 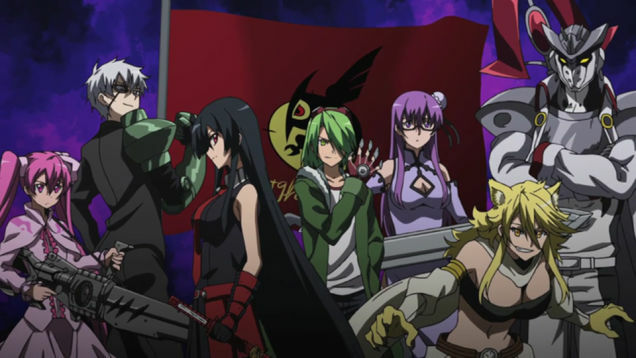 After nearly becoming a victim of this corruption by way of joining the military, Tatsumi is recruited by Night Raid, a group of assassins that is part of the Revolutionary Army. Night Raid is dedicated to eliminating the corruption plaguing the Capitol by mercilessly killing those responsible. Night Raid, along with some members of the Capitol, possess legendary weapons known as Imperial Arms, weapons that contain powers unique to each of them. If you have seen D.Grayman or Tokyo Ghoul, the concept is the same. 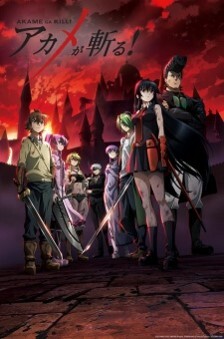 Akame ga Kill follows Tatsumi and Night Raid, but also spends a decent amount of time with the military from the Capitol, leaving you with a lot of characters to care about throughout the series. The series starts out violent and does not let up, so know that you are getting into an anime that is heavy in the realm of bloodshed. There is a good pace to the story, meaning the plot progresses at a decent pace while not feeling too rushed. In classic action-anime fashion, be prepared for story developments to occur during some of the prolonged battles. Speaking of prolonged battles, while the episodes containing battles occur on occasion, they typically do not last for more than a single episode, so they did not seem to drag on for too long, meaning they are not Dragon Ball Z style battles. Overall, I enjoyed the many characters that were introduced throughout the series, as well as the unique Imperial Arms that the various characters possessed. You might enjoy this if: You are into political assassination stories that are more about the assassins than the assassinations. Also, if you enjoyed the type of weaponry used in Tokyo Ghoul and D.Grayman, you will enjoy Akame ga Kill! You might not like it if: You do not want to be conflicted on who is good and who is evil. Note to the Viewer: In classic anime fashion, be ready for a medley of emotion. This entry was posted in Anime and tagged 2014, action, adventure, akame, anime, assassin, fantasy, fragglepuss, ga, ghoul, grayman, kill, review, summer, tokyo. Bookmark the permalink. 4 Responses to Fragglepuss Anime Review 71: Akame Ga Kill!